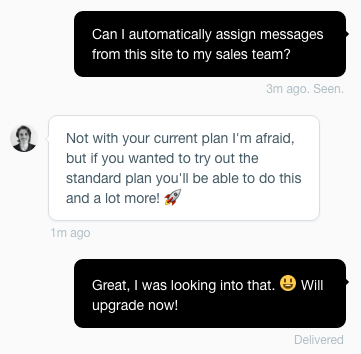 Customer support at a growing startup can be incredibly challenging. As your user base grows, and new staff join every week, it can be easy for your support team to overlook simple steps in the multitude of conversations they have every day. Forgetting these small details can have a big impact. In fields like medicine, where there’s no margin for error, they have a simple way of making sure knowledge is applied consistently and correctly – checklists. In fact, checklists are said to have prevented 43 infections and 23 deaths in one ICU unit alone. These results, and The Checklist Manifesto, inspired many of our customer support team to write their own checklists. If you’ve ever reached out and asked us a question, you will have experienced the results of these checklists first hand. The idea is not to revolutionize your support process, but to make the simple and consistent parts of an interaction second nature, which frees up your focus to properly understand your customers, and solve their problems. The items on your list will differ from team to team – there’s no one-size-fits-all checklist for every customer support interaction. But here’s an example checklist you can use to make sure you’re providing customers with a consistently great experience. This checklist is broken into two parts – to ensure quality when opening a conversation and before closing one too. 1. Understand the question. This might seem obvious, but guessing at an answer can waste everybody’s time. To be more concrete, this step could be “Confirm or clarify any missing details”. If you’re not 100% certain what the question or issue is, how can you be confident in your response? 2. Know which products they use. If you support multiple products, or different versions of a platform, any solution you suggest should match the user’s options. Again, this seems like a no-brainer, but suggesting a feature that a customer doesn’t have will frustrate them, and it’ll be much harder to encourage an upgrade to access said feature. 4. Tag the conversation, with a category and a team. Great customer support teams don’t just focus on closing conversations. You need to make sure that others can find and make sense of everything your customers are telling you. Making sure we tag every conversation in Intercom with a category and a team means that the right feedback is available to the right people in the company. 5. Answer (or ask) the “next” question. 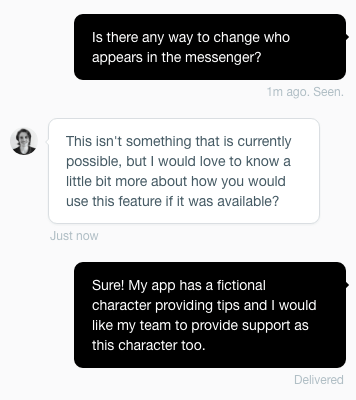 If a user has raised a question that’s often accompanied by a follow up, answer it now, before they ask. 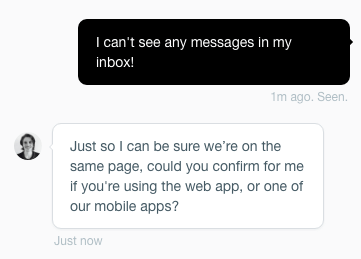 This is a simple way to exceed your user’s expectations, and save yourself time. If a user is giving feedback, use this opportunity to ask your own questions and find out more about their use case. 6. Make them smile. While checklists are great for making sure things are done correctly and consistently, it’s important they don’t turn us into robots. Customer delight is so important to our team, that we make it part of the checklist itself. Whether it’s a fun GIF to say goodbye, or letting them know they can reach out anytime, throwing a bit of positivity into the conversation makes it more enjoyable for your end user, and for your team. This is just one example of how a checklist can be used to maintain focus on the finer details of your support process. It may not save lives, but it will help you aim for consistency in all your conversations. Whether it’s a collective list written by your whole team, or a couple of lines in the back of your mind, the only thing easier than writing a checklist is following one.